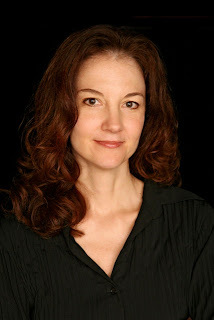 All The Write Stuff: KRISTIN BAIR O’KEEFFE: Getting to the Elusive "Writerhead"
KRISTIN BAIR O’KEEFFE: Getting to the Elusive "Writerhead"
Kristin is a China-phile having spent nearly five years in Shanghai. She encourages writers to write darn it. Getting writers to "writerhead" where body, mind and soul meet to be all about writing. She also warns writers not to wait for inspiration. Don't percolate, practice! Kristin also believes in the power of social media and what it can do for the writer. Bernadette Sukley: You are an admitted Chinaphile—how does this influence your writing, teaching and speaking? Kristin Bair O'Keeffe: I’m a cultural spelunker and place-passionate writer who got the amazing opportunity to live in Shanghai, China, for nearly five years. From March 2006 through November 2010, I wandered around Asia, explored old lanes, learned to speak Chinese, and listened to chanting monks in as many temples as I could find. Needless to say, I’m smitten. It’s a gorgeous country with amazing traditions, a fascinating history, an even more fascinating now, and some of the most generous people I’ve ever met. But my relationship with China is complicated (aren’t all relationships?). As an American writer who stomps around hollering “Freedom of speech! Freedom of expression! No censorship!” I struggled (and still struggle) with the restrictions China places on its writers, artists, and citizens. This preoccupies me and quite rightly informs all areas of my life. How could it not? B: What is it about Mondays (referring to your blog’s Mojo Mondays)—are Mondays the best writing day for you? K: Every Monday on my blog, I provide a little something-something to boost writers’ mojo. I could have picked any day of the week because in my experience, writers can use a little mojo boost just about any time of any day. But Mojo Mondays has great alliteration, and I like the idea of giving (and getting) a little inspiration at the beginning of a new week. That said, every day that I sit down to write is a good writing day for me. Writing is a practice. And all practices—music, dance, painting, photography, etc.—require just that…practice. Writers don’t have to have a specific day to write, but they do need to write regularly. Over and over again, I tell students, “Find your own best schedule and stick to it.” If you’re a busy mom with a babysitter on Monday and Friday mornings, write like crazy on Monday and Friday mornings. If you’ve got a big job that keeps you at the office from 8:00 a.m. to 8:00 p.m., write during your lunch hour. I get up at 5:00 a.m. every day to write. I don’t wait around for inspiration to strike. I sit down and practice. Sure, it’s awesome to get inspired while filling up the car on a Sunday (and by all means, when it happens, ignore the guy in the car behind you who is gesticulating with THAT finger and just start writing), but a moment of inspiration isn’t going to push you through an entire novel. It’s not even going to get through a short story. B: Biggest mistake writers make? 2. Getting wrapped up in the search for publication too early in a career instead of focusing on becoming a solid writer. B: Your blog encourages writers to “get thee to writerhead” … gotta map? How do we get there? B: How does social media/social networking (SN) benefit writers?--Do we all need to have a blog, FB page, a twitter account? And how much SN should we do--is there a balance, a “safe ratio” of SN to writing? K: The term safe ratio made me laugh out loud. I’ll be talking a lot about this in my conference session “Making Sense of Social Media,” but the most important thing to recognize is that social media/networking is a conversation. If you keep the rules and standards of face-to-face conversation in mind as you blog, Tweet, Facebook, etc., you’ll be fine. And you’ll also learn to recognize how much is too much. B: Ever put down a book down unfinished? Why? K: Oh, heck, yeah. I used to force myself to finish every book I started, but about ten years ago, I realized that in most cases, this was a big, fat waste of time. Sure, sometimes I keep reading a book that I don’t like because, as a writer, I’m learning something important. But for the most part, if I don’t connect with a book or can’t get into it, I close it or turn off my Kindle. (Caveat: There are times when I’m simply not yet ready for a particular author, for example, it took many attempts before I was able to read Virginia Woolf. So even when I close a book, I always know that I can return if I so desire. B: Does the process of publishing ever destroy a good story? K: Nope. Writers write so people will read. I can’t imagine an instance in which finding an audience could ever destroy a good story. B: Was there ever a story you wrote that you never published? Why? K: Good gracious, yes. I have oodles of pieces that never got published (thank goodness). Some are wretched pieces of dung. Some I never finished. Some start out with a bang, but end with a thud. Some don’t have a clear point of view. And so on. But again, this speaks directly to the fact that writing is a practice. Every piece I’ve written—published and unpublished—has helped me to become a better writer. Thank you so much for your expertise and words of advice, especially for new writers like me. Personally I needed someone to tell me arse in chair. I also wish more people would keep the rules of conversation in mind as they blog and Facebook. Great interview, Bernadette! I'm looking forward to meeting Kristin at the conference. This interview is packed with practical advice.